The Hebrew Roots Movement has influenced hundreds of thousands of Christians in recent decades, and many more have encountered arguments from those in that group. The movement places a strong emphasis on Hebrew traditions and the Mosaic law. 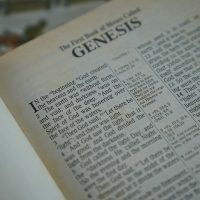 This article will describe the nature of the Hebrew Roots Movement, examine some of its major beliefs in light of relevant biblical passages, and challenge those who have been influenced by its teachings. In recent years, an increasing number of Christians have adopted teachings associated with the Hebrew Roots Movement (HRM). Properly defining this movement is difficult because it has no central hierarchy or leader and no official statement of faith for members to endorse. While this article will explain and critique some of the major teachings connected to this movement, we recognize that some adherents to the HRM may not agree with all of the positions outlined here. Broadly speaking, followers of the HRM believe that Christians are obligated to follow Jewish laws and practices from the books of Moses. Oftentimes, extrabiblical rabbinic teachings and traditions are elevated (if not in official doctrinal beliefs then in practice) to the same level as Exodus, Leviticus, Numbers, and Deuteronomy. Although they often speak of keeping the “law,” they are usually inconsistent in how this is understood and defined. For example, certain laws are either broken or neglected while a great deal of attention is placed on keeping the Sabbath (Friday sunset through Saturday sunset) and celebrating the feasts mentioned in Leviticus 23. These issues will be discussed in more detail below.